Here comes Valentine's. Here comes Valentine's - yay! I just cannot resist all the love. 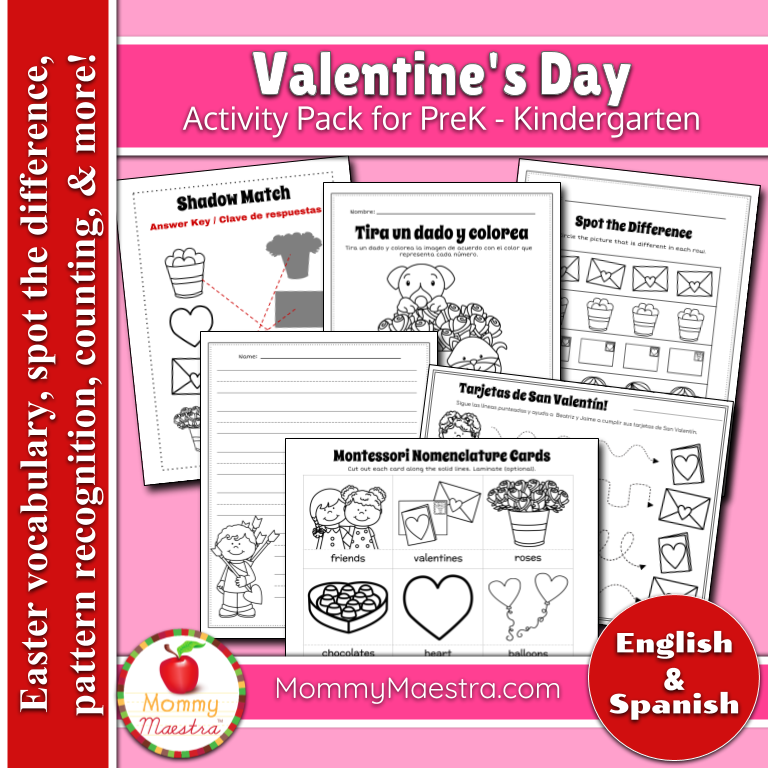 And I suddenly realized that I hadn't made a PreK activity pack for this holiday! I think I have one for all of the other major holidays, so you know I had to put this together. You can find it in my TpT store, and I'll be uploading it to my online shop soon. 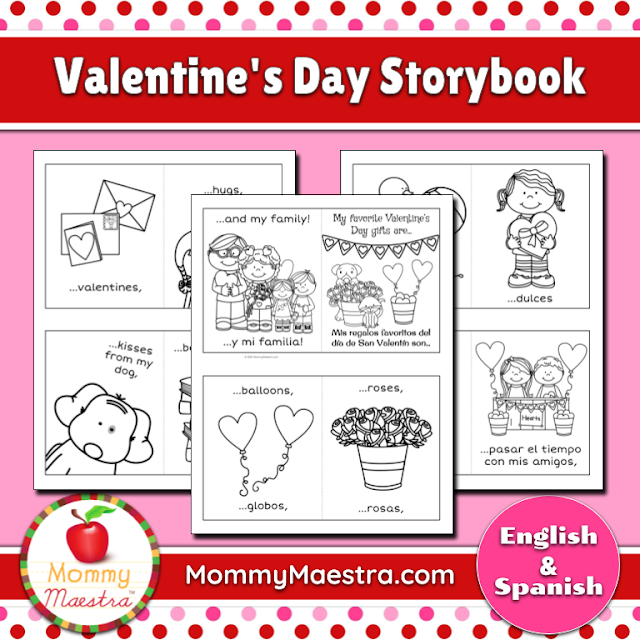 And don't forget that last year, I created this SUPER CUTE Valentine's Day Storybook, titled "My Favorite Valentine's Day Gifts." Just print, cut, layer, and staple in the middle. Boost your child's vocabulary and reading skills with this Valentine's Day storybook. This story lists things that children often enjoy on this holiday, so the student will enjoy coloring while learning the words for "balloons/globos," "candy/dulces," "hugs/abrazos" and more. You can also find it in my TpT store. Both will be available in the MommyMaestra online shop this evening.